The story of Neil Baldwin* is an astonishing and uplifting one. Born to devoted Stoke City supporters, Neil had learning difficulties and needed speech therapy. He has made light of this, and his lack of formal academic qualifications, to work tirelessly as a lay preacher, circus clown and for many years the Potters’ kit man. He has his own football team, Neil Baldwin FC, with players drawn from the student body of Keele University, of which he is an honorary graduate having given 50 years of voluntary service in welcoming new undergraduates. Football celebrities, notably Lou Macari but also including Kevin Keegan and Gary Lineker, have acclaimed or befriended him or both. 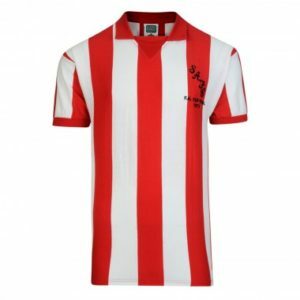 When Macari, then managing Stoke, made him the kit man, he said it was the best signing he had ever made, such was the positive effect of his humour on the squad. He played five minutes a sub in a testimonial for Gordon Cowans in 1993 and, most famously, inspired the film Marvellous, based on his life. 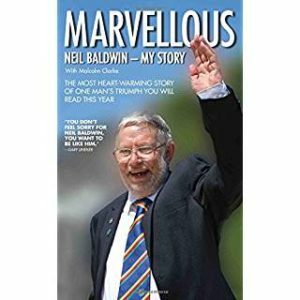 The autobiography, Marvellous: Neil Baldwin – My Story, written with the help of Keele University alumni Malcolm Clarke (a recent Who are You? interviewee) and Francis Beckett, was published by John Blake in 2015. 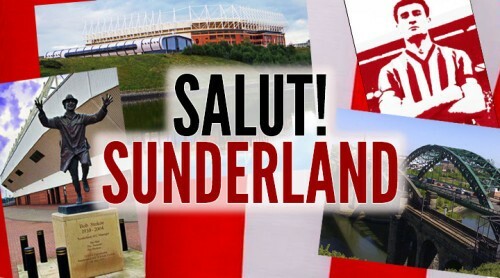 Salut Sunderland: Funny old season for Stoke. Sometimes up, often down. What do you reckon? We played very well to win against Watford and I think we’re moving upwards.It was great to see Crouch score his second in two games and I’d like him to take his total of 98 to 100 against you. Mark Hughes has had money to spend and many neutrals rate him highlv. Good manager for you and still got the support of the fans? I think he has everyone’s, yes. What’s more, he’s a nice man, always calls me Mr Baldwin. I really don’t mind since I was born Neil [though Monsieur Salut took thereafter to calling him Mister – Ed]. He presented me with the 2015 Stoke supporter of the year award and that was lovely. How can he do better? maybe buy another centre-forward and a defender. Signing Lee Grant (goalkeeper, previously on loan to Stoke from Derby – Ed] was a great move. My mother was a cleaner at Keele University and I was there for 50 years [an unpaid initiative, greeting new students and preaching in the campus chapel]. Peter Bowker [playwright and screenwriter] and his wife saw me there. Peter said ‘we have to get that man on television’ and it went from there. People find me funny – it had always been my ambition to be a clown and I achieved that, too [as Nello the Clown in Robert Fossett’s Circus]. I’m seen in the film but they got a more famous name, Toby Jones, to play me. It won a Bafta and I got the freedom of Stoke and Newcastle-under-Lyme. With the honorary degree and an appearance on Songs of Praise, you can say I am very proud of my success. 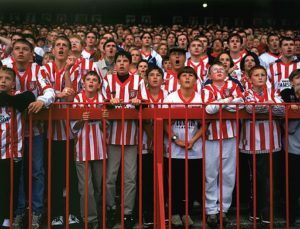 Your first Stoke City game? I was about 10 or 11 and my parents took me to see us beat Lincoln 8-0. 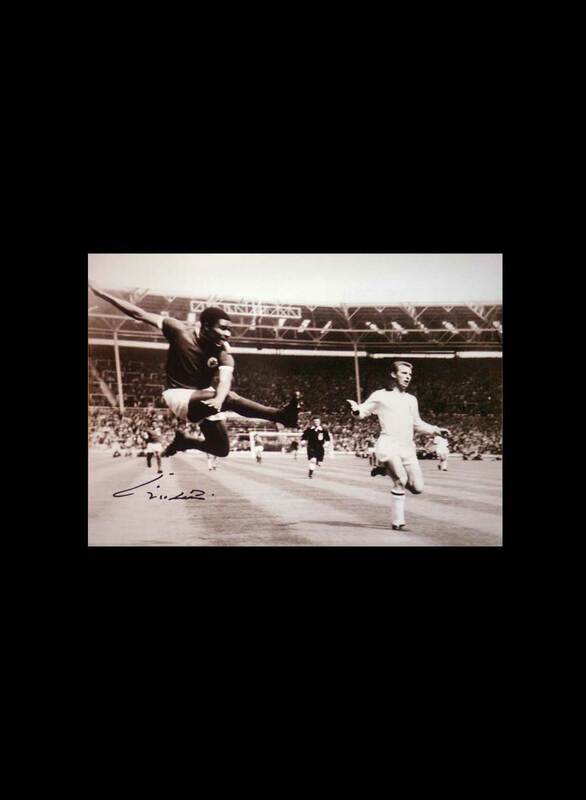 Neville Coleman scored seven of them and Johnny King the other one. You can imagine the impression it made on a young lad. I started going regularly. My parents were real Stoke supporters; they’d named me after our great centre-half Neil Franklin. Who are the best players you’ve seen for Stoke, and the greatest characters? Obviously Sir Stanley Matthews. 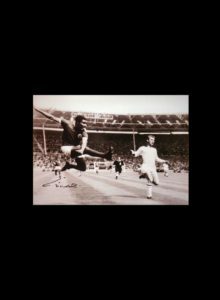 I knew him well and he was a true gentleman – I was proud to attend his funeral service – and one of the two best players I have seen for us, the other being Neil Franklin. Lou Macari is one of the characters I like the best but there have been so many others. Sir Alex Ferguson saw my film. In fact, it was his wife who saw it first and I think he’s seen it three times now. We had a do at Keele for my 70th birthday and he a made a video for it. Who else? Robbie Fowler once told me I was more famous than him. And the first time I met Peter Crouch, it was for an England Under 21 game and I asked him if he’d found a bed big enough for his legs. He’s always remembered me for that. But everyone has been very good to me; it helps that I am such a happy person. It’s shocking that they do it and shocking that they get away with. Any examples of good refs and bad refs? I thought Uriah Rennie was one of the best. (Uriah Rennie has in fact refereed games featuring the Neil Baldwin XI – MD) Now, maybe I’d go for Martin Atkinson. I don’t like Mike Dean and all his messing about with red cards. What do you think about Sunderland? I have always liked David Moyes. Like me, he’s a man of faith. I know him quite well. And he’s a good manager. I really hope he gets you out of trouble as has happened with your club for the past few years. 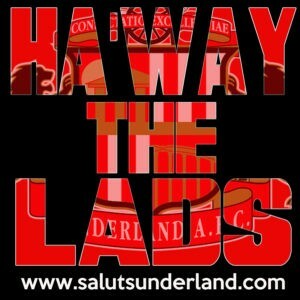 Don’t like Cattermole, though, for saying he was coming to Stoke and then not joining. And I certainly don’t like Sam Allardyce – he shouldn’t have been allowed back into football. I think we must keep trying to make the game better but also fairer. There is too much around in the game, especially at the top, and I feel sorry for the teams in lower leagues who really struggle to keep going. As for me, I always did my best playing and scored a few goals. I may be 71, just coming up, but can still take penalties and score them. Bishops and archbishops, top footballers, politicians and actors…they all count him as their friend. Prime Ministers and senior royals stop and listen to his opinions. He’s got an honorary degree and his very own football club. There was even a movie about him on national television. But who is Neil Baldwin? At Keele University they hold regular celebrations and chapel services. For the decades he’s been the friend of students, academics and vice-chancellors. But he’s never been a student, or a teacher, or had any formal connection with the place. At Stoke City Football Club, he’s ‘more famous than the players’. He’s even got a dialogue going with the Queen, though that one’s still a little one-sided. But who is he, and what’s he famous for? When he was a boy in a working-class part of the Potteries in the fifties and sixties, the education system wrote him off. But Neil thinks ‘you can get things by asking for them’. He also thinks his late mum wanted him to have a happy life, and it’s his duty to her to have one. So he does. This is the inspiring and, at times, hysterically funny story of Neil’s extraordinary life. 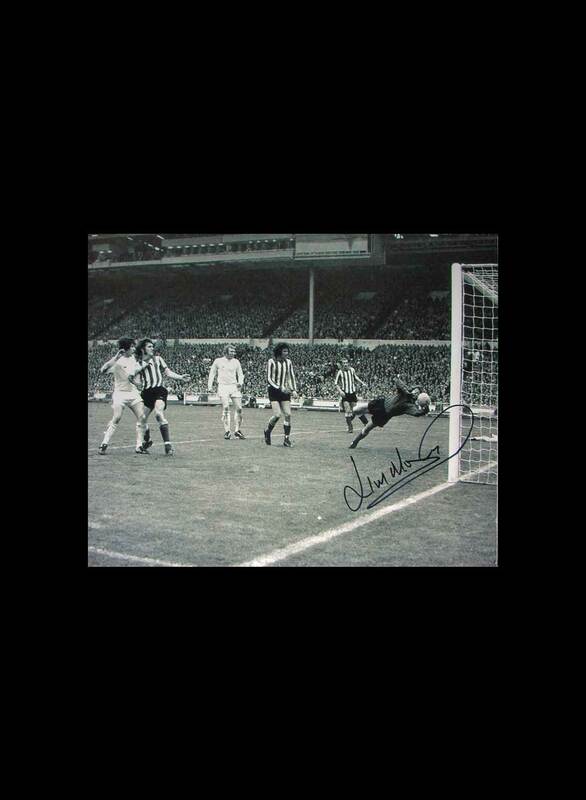 Tags: Colin Randall, Neil Baldwin, Stoke City, Sunderland A.F.C., Who Are You? I too had the honour of seeing the great Sir Stanley a few times. I remember going to Stamford Bridge to see Stoke beat Chelsea 1-0 in the old second division. Both were promoted that year. Matthews, aged 49 was the best player on the park. He was marked by Eddie McCreadie a great Scottish international full back. He never got near Matthews. Incredible player. I also saw Neil Franklin just the once, playing for Stoke against Fulham. Fabulous player. Quite small for a centre half. Well under 6 feet, but won every ball in the air. He took off for Bogota shortly afterwards, but didn’t stay long. If you haven’t seen “Marvellous” this looks like a link to the entire film on You Tube though the sound isn’t great. Be much better getting hold of a DVD, Blu-ray or download if you can. A most enjoyable film about a wonderful character that is Neil Baldwin. If you click on the YouTube video of his BAFTA speech, other entertaining clips appear at the end.